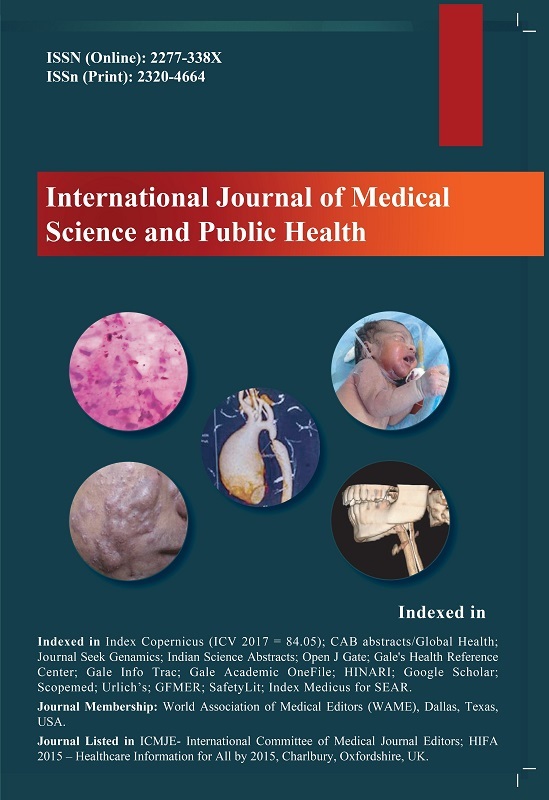 This journal will welcome articles from the field of all specialities of clinical, as well as basic medical science (medicine, surgery, ophthalmology, gynaecology and obstetrics, psychiatry, anaesthesia, paediatrics, orthopaedics, microbiology, pathology and laboratory medicine, medical education, research methodology, forensic medicine, medical ethics, community medicine and public health, anatomy, physiology, biochemistry, pharmacology, biophysics , etc). We also consider hypotheses, intersectoral and translational medicine articles. Articles must be of high academic/clinical riguor and may be in the form of original article, review, perspectives, case reports, and letter to the editor or essays. Please make a pre submission enquiry regarding this to the editorial assistant ( editorijmsph1@gmail.com- 09974820709 (5 pm - 8 pm)) if you have any further details.